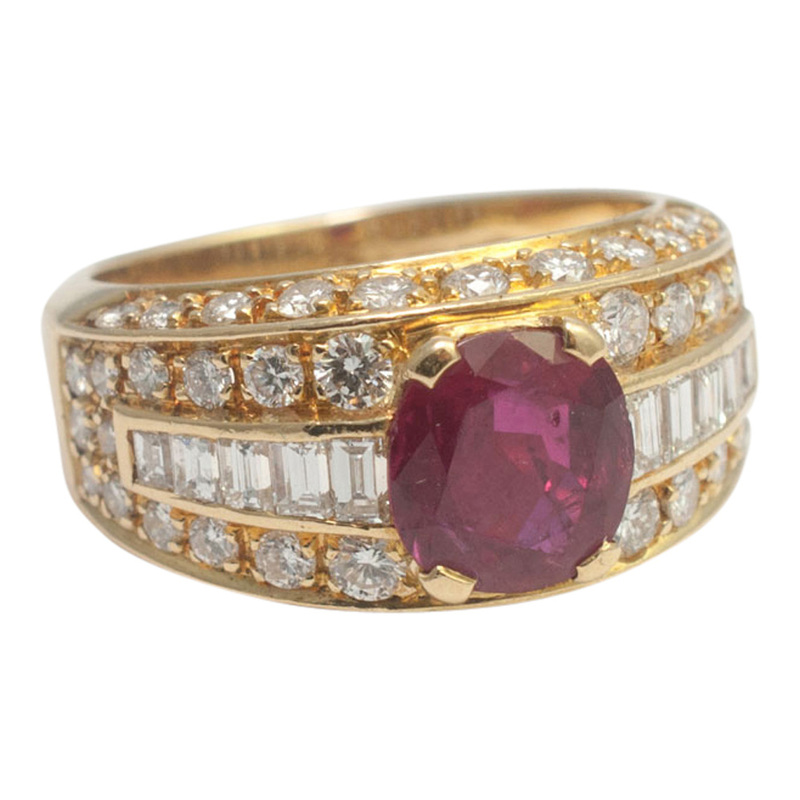 Ruby and diamond band ring by the exclusive Parisian jewellery house, Fred; the ring is set with a central vibrant red ruby weighing 1.67ct and rows of brilliant and baguette cut diamonds weighing 1.11ct. 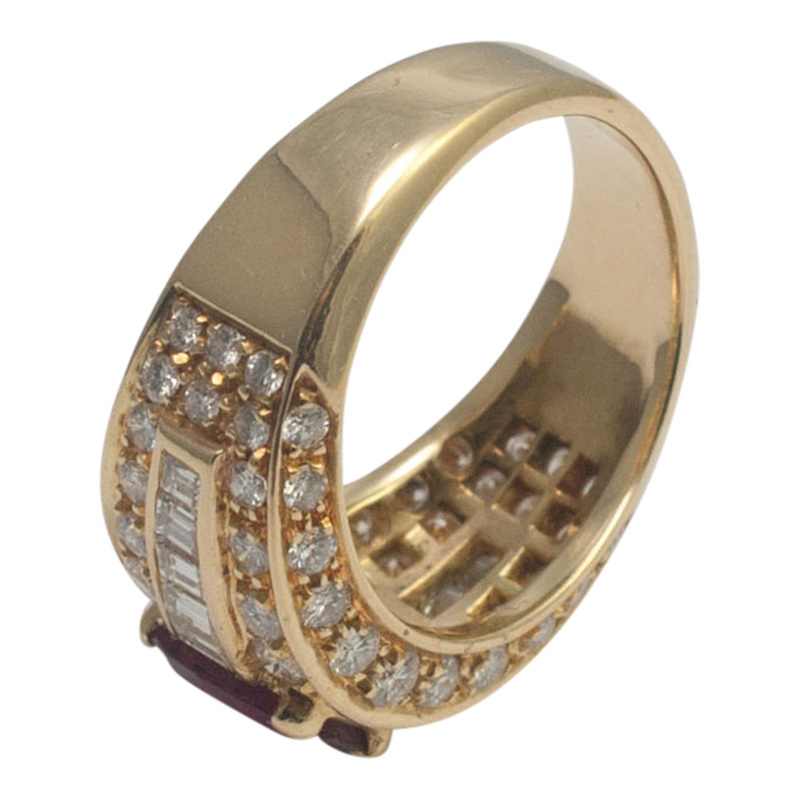 Stamped inside, FRED, Paris 750 (18ct gold). 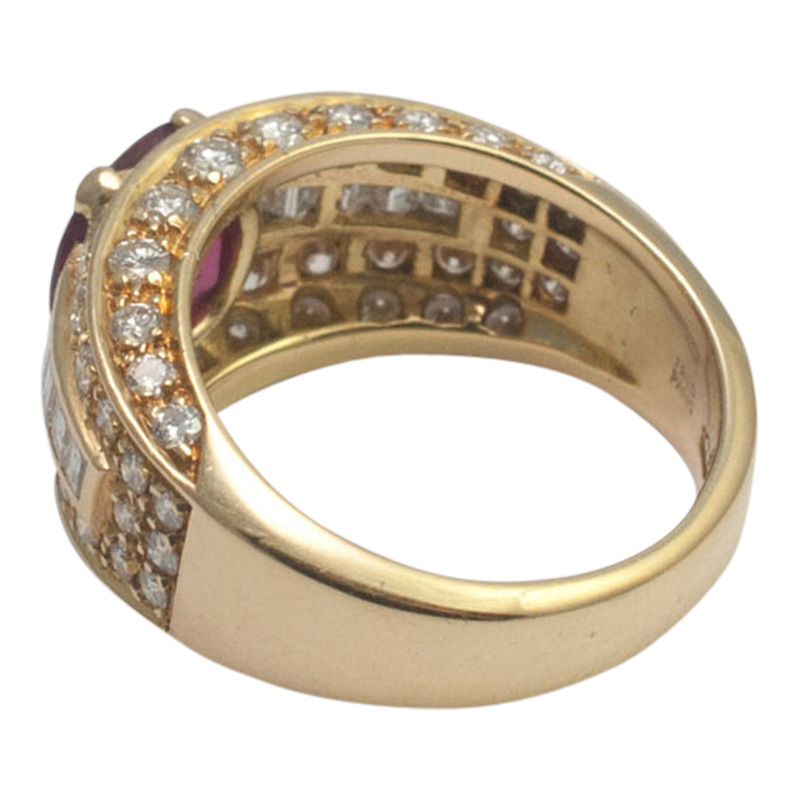 The ring is in excellent condition and has been cleaned and polished by our workshop. 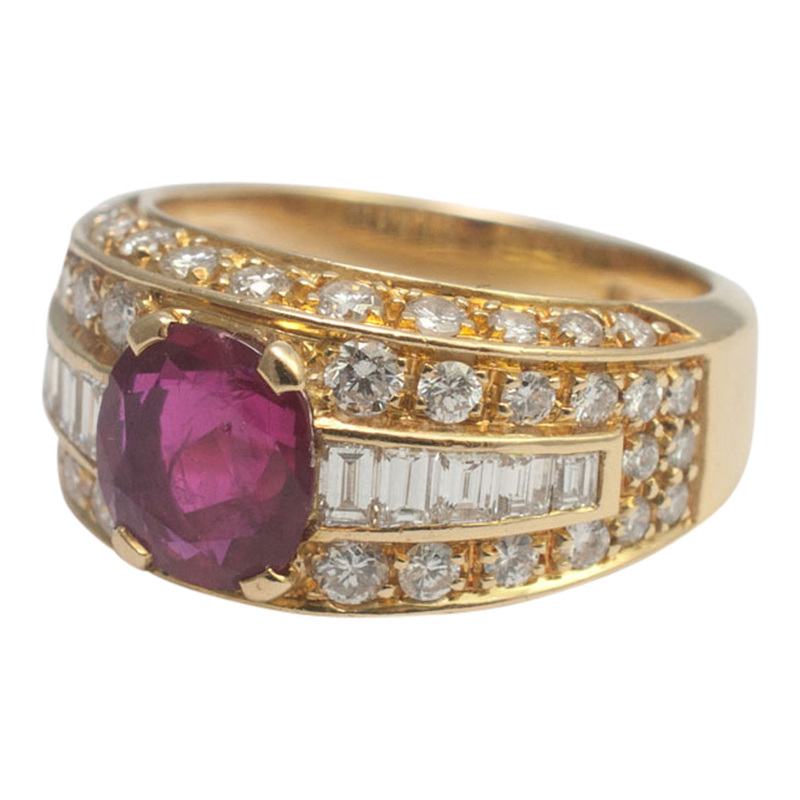 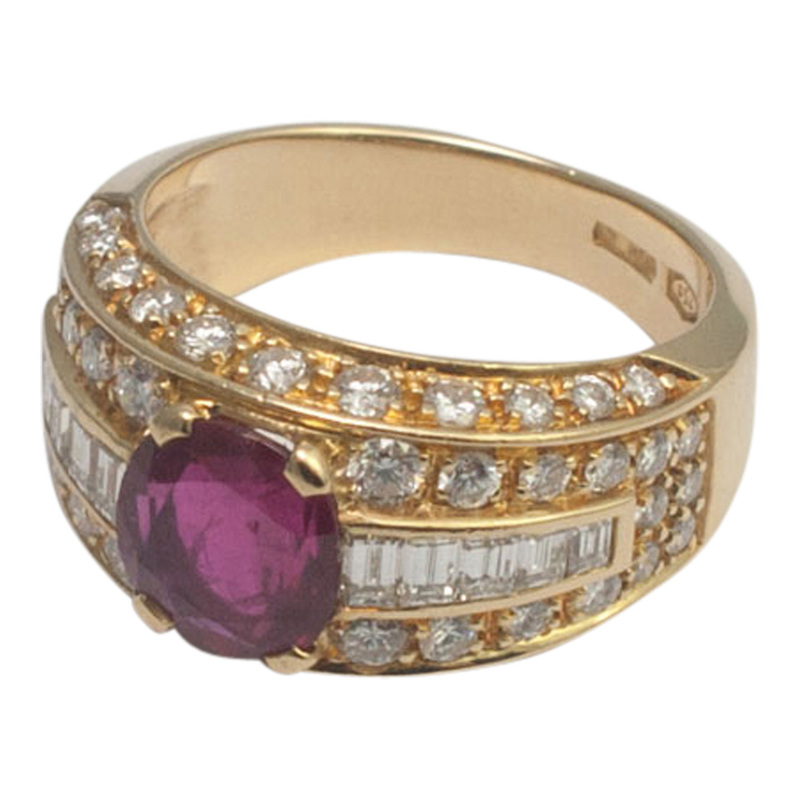 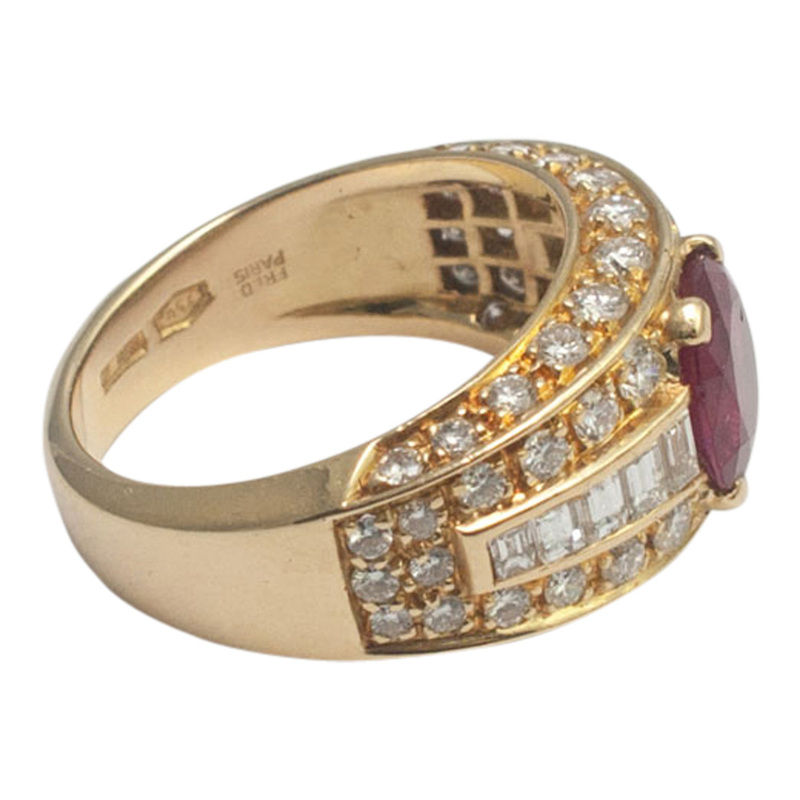 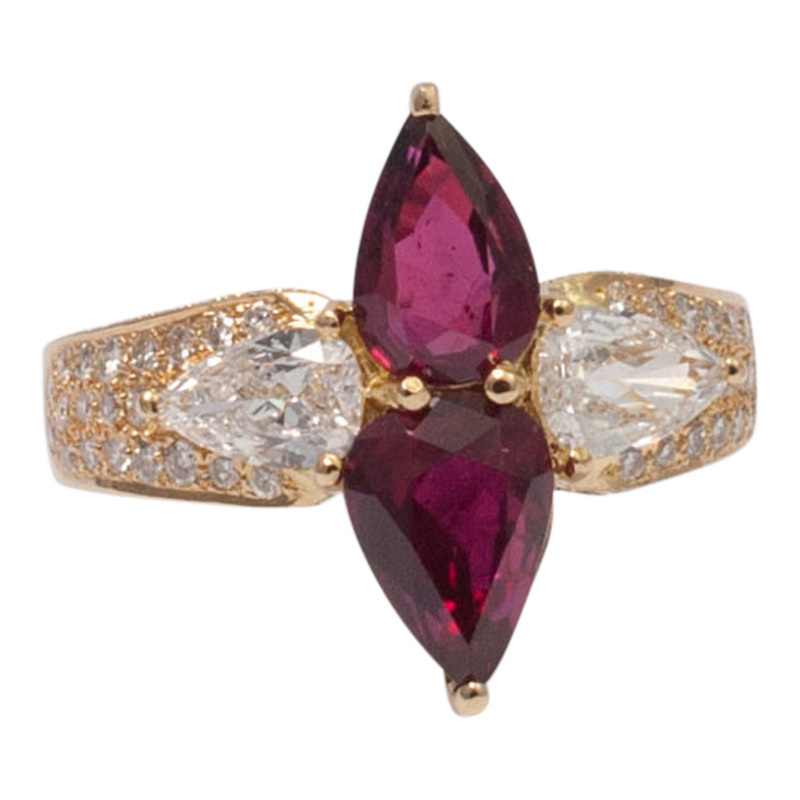 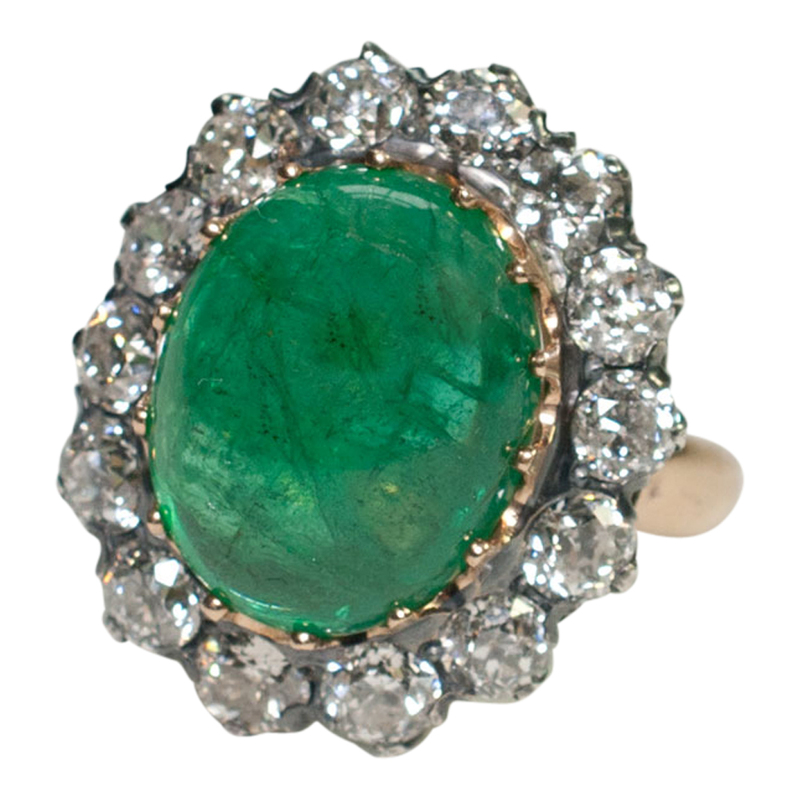 This ring would make a fabulous ruby wedding or engagement ring. 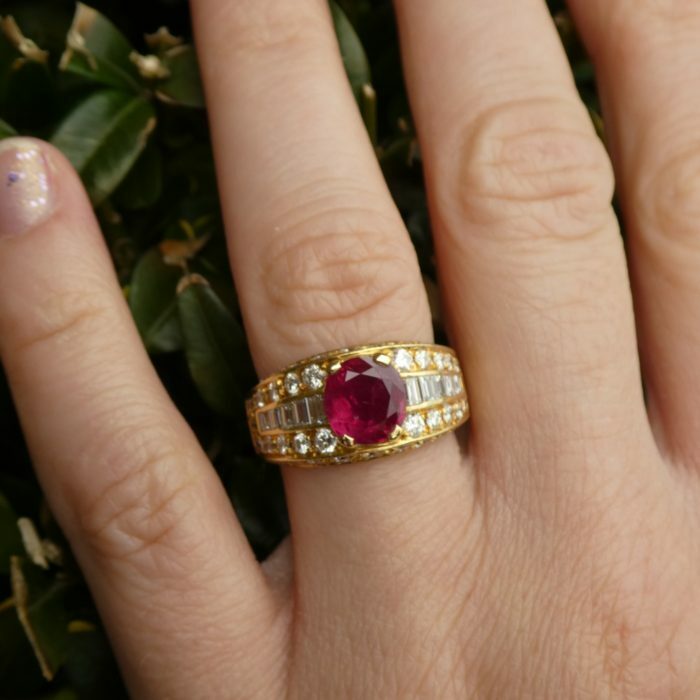 Finger size M, 6.5 (US), 53 (EU) and can be slightly sized by us if required. 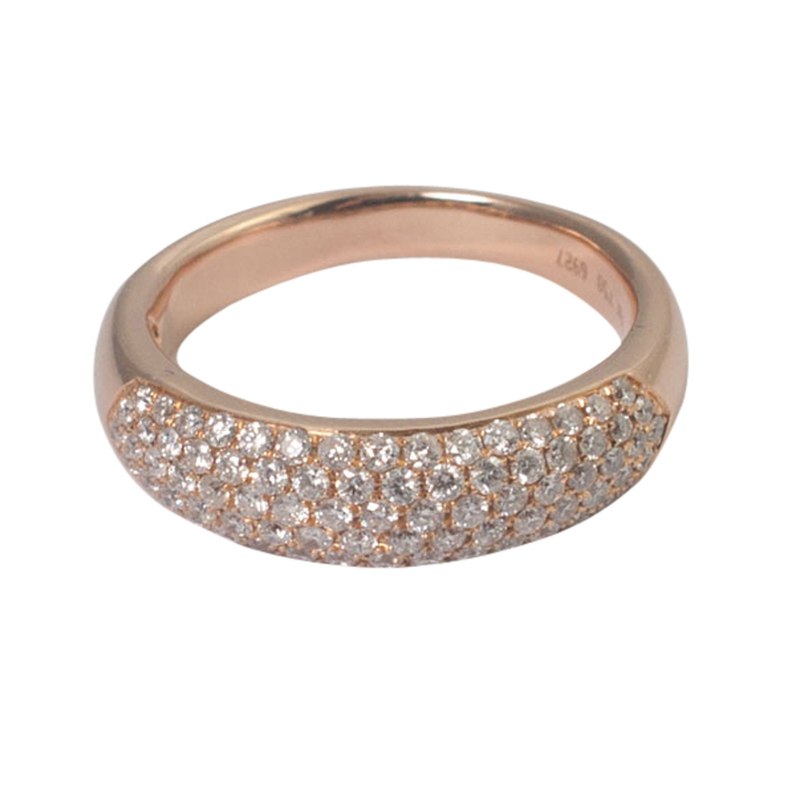 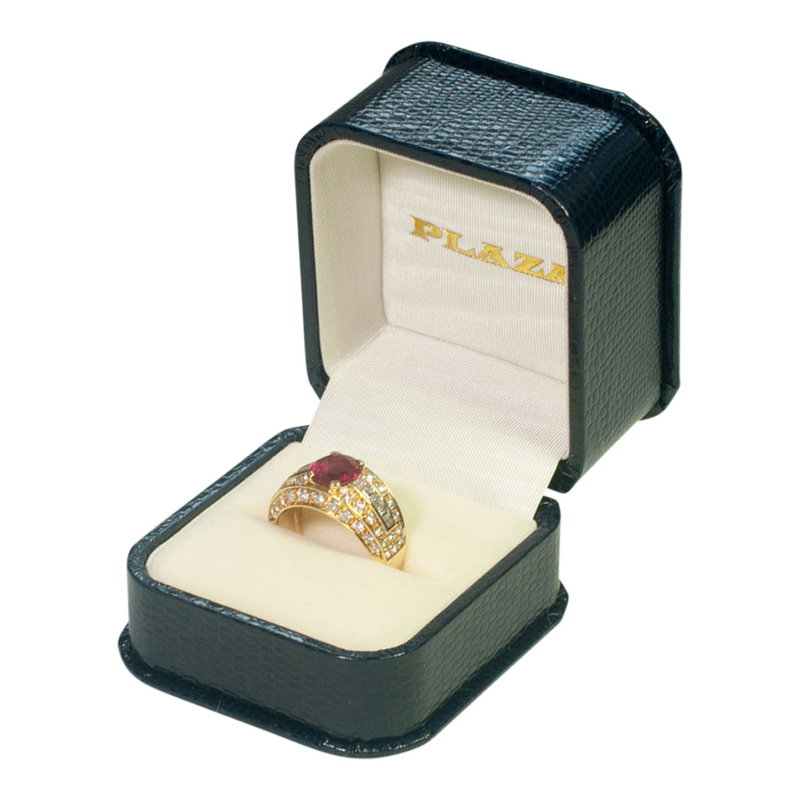 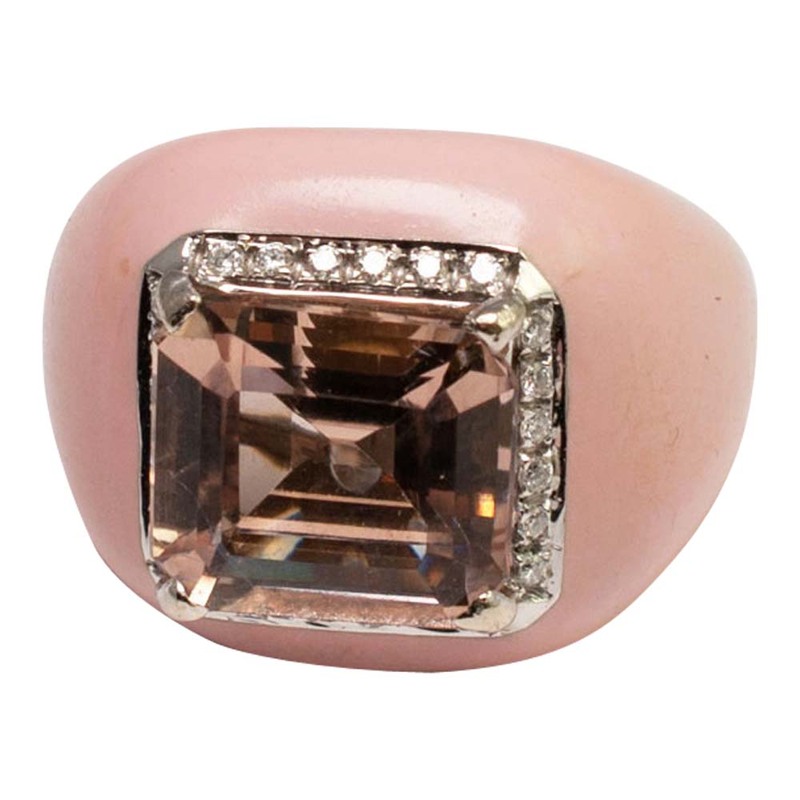 SKU: E008 Categories: Diamond, Engagement Rings, Fred, Paris, Gold, Rings, Ruby Brand: Fred.